Akhil has completed the Pro Bass course at TSM. He currently plays bass for two bands viz. Bombay Bairag and Harmononium. 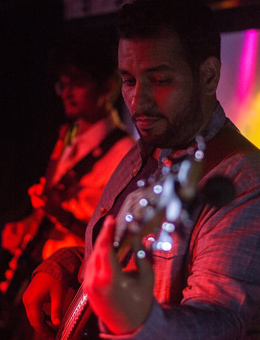 Apart from these bands he freelances for known artists such as Keerthi Sagathia, Sandeep Batraa and Rahul Jain. In free time, he does some private teaching too.